A well-built soft case to protect your bass from the hard knocks of travel. 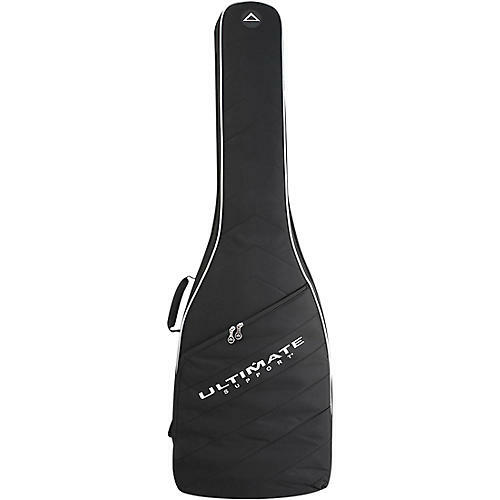 The USHB2-EB-GR Hybrid Series 2.0 soft case from Ultimate Support is designed for the bass player on the go. Featuring a water-resistant exterior, backpack straps and a rubber base, this black bag with gray trim was made to protect your instrument and keep you moving. The rigid exterior features stylish texturing, while the interior has floating neck support, ample dimensions, storage pocket, and adjustable foam blocks that provide support where your bass needs it most. The USHB2-EB-GR can fit just about any electric bass you throw at it, including Thunderbird-style basses. Protect your investment. Order this soft case today.